Welcome to Russell’s Radio Academy! Russell’s first Radio appearance was in 1977 on BBC Radio Oxford with Timmy Mallett. 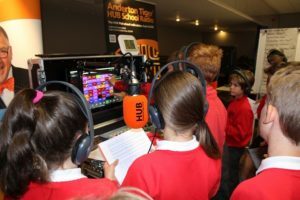 Russell sees thousands of young people a year in his live broadcasting workshops. 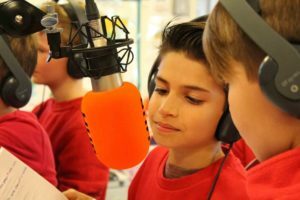 Using the goal of a live radio broadcast as the target, young people work harder than they’ve ever done before. We’ve collected hundreds of hours of live shows and we’re pulling out all the great techniques to share with you! 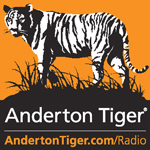 We also showcase some of this work on our 24hr Internet Radio Station. Russell makes some of the most innovative and easiest to use radio equipment in the World! His learner centric approach to broadcasting makes it possible for everyone to operate the equipment! Young Folks are usually able to start operating the kit within just a few minutes.